Here are 3 easy-to-keep plants to bring more love and luck into your life. These 3 plants will open your heart and bring more wealth and serenity into your home. One simple thing you do today could improve your whole well being for tomorrow. It’s so simple you will wonder why no one has told you this before. The addition of these plants can turn your dwelling into a beautiful healing sanctuary. Have you ever thought of having house plants like having pets? Many people live in apartments or houses where pets are not allowed. I’m facing the fact that, very soon for the first time in my life, I will be living all alone. I’ve been living in nature and with other people for so long that I’m sure living all alone in a little apartment box will be less fulfilling for my psychological health, but I know that in mainstream society people live like this all the time. “No pets allowed,” say most of the for rent adds. I think they mean the kind that say meow, woof, and make scratching noises. No one ever said “no pet plants allowed!” and no one is going to charge me a deposit for friendly green leafy pets. You would be amazed at how having green leafy living things in your home can drastically improve your health and your life. Having plants gives you something to love, nurture, and care for that is low cost and low maintenance. Make sure to read up on how to care for your plant pet based on the type you choose to acquire. No plant store or nursery nearby? Order it online. 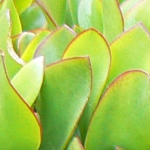 Many studies have been done on plant communication. They don’t have a verbal or audible language like we do, but they do know the language of feeling. I thought it sounded weird when I first heard about it, but talking to your plants and showering them with love and nice feelings really does help them grow better. I’ve literally noticed plants growing bigger and better when I’ve told them regularly how much I love and appreciate them than when I leave them alone and just perhaps water them once in a while. How many people with house plants revere them on the level as they would lovingly for a dog or a cat? I would say not so many, but you can start now. Plants are low cost and low maintenance. Of course, when you are feeling better because you have nice plants in your home, you will mostly likely be feeling better about money too. You’ll be more receptive about receiving more, including money. When you feel good, good things find you to feel better. It may sound like silly superstition, but when you have the vibe of positivity, you draw more prosperity into your experience. When you don’t feel that great about something, chances are it will affect how you feel about other things in your life, even money, and you will actually repel better things from appearing in your experience. Here are 3 Plants for Health and Fortune. They can be watered once every couple weeks and repotted once every few years. 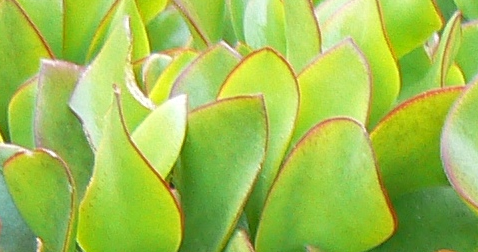 Parts of these plants, like the leaves and stems, can be used to grow more of the same plant. How proliferous and wealthy that is! 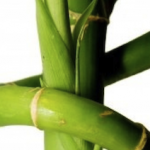 Good Fortune and Healing Plants: In Asian cultures according to Feng Shui, the Bamboo and Jade plants have been highly regarded as good luck plants for a long time. Place them near the back left corner of the room when entering the doorway for best good fortune juju. 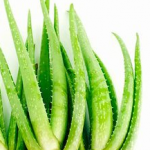 The Aloe plant is great for healing the skin, especially for burns. Make sure your plant pets get lots of natural light, but it might be nice to place them near a corner. The corners of rooms often get less attention and activity so plants in these spaces really make the whole room feel more appealing. All 3 of these plants can heal your heart and brighten your home when you love them into your life! Money Meditation: It may sound strange at first, your friends might think you belong in the looney bin, but if you try it while you are alone with your plants, you might find amazing results. 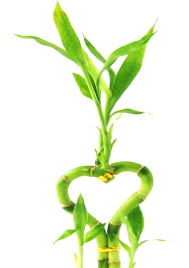 It can be your little secret and you never have to tell anyone you get wealth advice from a plant. Sit with your good luck plant in a quiet peaceful place in your home and just ask it questions as if you were talking to a good friend or a wise wealth advisor. See what great ideas pop into your head as you have your plant conversation. Be specific and direct, just as if you were talking to a person. For instance, you can ask your plant, “I would like to make $100 extra dollars by next month. What is in my highest and best, most prosperous good to be doing to make this extra money?” See if any great creative ideas pop into your head. It might be things you’ve never thought of before, and if the answer doesn’t come right away, perhaps it will later that day. If you try this at home, I’d love to hear about what you experience. What have your plant pets been telling you? Comment below. So ice creams, cookies, and deep frozen meals are certainly not allowed in a holistic life. Simply lie around on the floor groaning with your legs up along with your knees bent. When you look like that you know you need to get a cat or a plant. Here, it’s not necessary to compromise while using length of interior design because there is enough space readily available for really large plants too. Thanks! Your post inspired some poetry in me today. Internal motivation is linked to neurological circuitry inside the left prefrontal lobe; the emotions of accomplishment, passion for work, excitement within our day all link to the left prefrontal cortex. I’m so glad you are talking about plants because this helps balance the left and right hemispheres of the brain, and bring great harmony into one’s life. A fascinating topic and it’s worth a comment. I believe that you should write more about plants and herbs and stuff, it might not be a taboo matter but usually people do not talk about such issues. this website every day, and your views and comments are good for new visitors. I know I like it when people tell me how great my stuff is, so um ya, people should comment more on your blog. See ya. 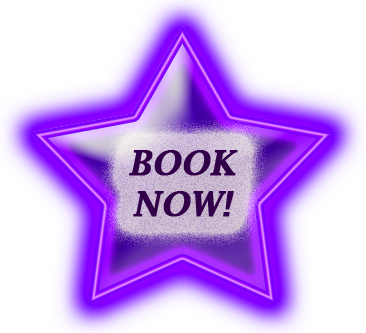 Right here is the right site for anyone who would like to understand practical magic. You realize so much and have so much wisdom to share. You certainly put a brand new spin on something that’s been discussed for ages. This is really interesting. You are a very skilled writer. Your info is so unique. I have shared your web site on my social media pages! My brother recommended I might like this. He was entirely right. This post truly made my day. You can not imagine just how much time I had spent looking for this info! Wow, this post is pleasant, my younger sister loves plants so I’m going to give her this article.